The Emory Global Health Institute has named Parmi S. Suchdev, MD, MPH, as its new associate director. 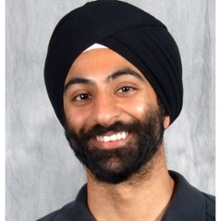 Suchdev is associate professor in the Department of pediatrics at Emory University School of Medicine, in the Hubert Department of Global Health at the Rollins School of Public Health, and in the Program in Nutrition Health Sciences at the Laney Graduate School. He also is medical epidemiologist in the Nutrition Branch of the U.S. Centers for Disease Control and Prevention (CDC) and a pediatric hospitalist at Children's Healthcare of Atlanta, where he provides patient care and teaches medical students and residents. Suchdev's research focuses on micronutrient malnutrition, in particular the safety and effectiveness of home fortification programs, as well as the effects of infection/inflammation on nutrition biomarkers. Since 2010, he has written over 50 papers on this topic, which have contributed to the formulation of global policy by the World Health Organization. His goals at the Emory Global Health Institute include increasing the visibility and scope of global health throughout Emory, including an emphasis on "local-global" partnerships in Atlanta and standardization of global health education opportunities at all Schools. "We are extremely fortunate to have Parmi Suchdev as part of our Global Health Institute leadership team," says Jeffrey Koplan, Emory vice president for Global Health. "Global health is a strategic focus for Emory University, and his broad experience and collaborative nature will help guide our future success." Suchdev leads several domestic and international collaborative research projects and conducts nutrition field studies in countries in Africa and Latin America. He has been a consultant in over 10 countries due to his expertise in global nutrition and has served on the Governance Committee of the American Society of Nutrition Global Nutrition Council. He also has a passion for global health education and spearheaded a global health track for the Emory pediatrics residency program in 2011. He founded a national pediatric global health educators group, which created and published a model curriculum in global health education that is being used by multiple residency programs across the United States. He is working on expanding and standardizing global health education nationally and is chair of the American Academy of Pediatrics Section on International Child Health. "This is an exciting and pivotal time to be working on global health at Emory, with immense opportunites throughout the university for tackling the key challenges facing the planet and its inhabitants," says Robert Breiman, MD, director of the Emory Global Health Institute. "Dr. Suchdev has distinguished himself in all aspects of Emory's global health mission -- as a provider of patient care, a researcher and a teacher. He is a dynamic and creative leader, and a perfect addition to our team." Suchdev received his medical and public health training at Northwestern University and completed his residency in pediatrics at the University of Washington. He was a CDC Epidemic Intelligence Service Fellow before joining the Emory faculty in 2007.